Whether your goal is to fly for a major airline, a corporation, instruct or to simply enhance your flying skills, the flight school you attend will play a vital role in the reaching your aviation ambitions. As an FAA certified Part 141 school, Clearwater Aviation strives to provide the best instruction the industry has to offer while maintaining the highest level of professionalism and safety. Once enrolled in our Part 141 Private Pilot Program, the Student will gain the experience through our Instructors that will enable the him/her to pilot the skies with ease and confidence. All of our instruction is one-on-one with the student, which allows the capability of professionalism and comfort to reach it's highest. This course can be completed in as little as 2 months if the student is attending class a minimum of 4 days a week. For more information, please contact Travis Fox. Fulfill your Dream's today of becoming a Pilot. Now that you've become a Private Pilot, it is time to add to your skill and comfort level. The Instrument Rating allows you to understand and navigate through or around poor weather conditions. You will learn how to decipher weather reports & Forecast's, file flight plans and fly relying solely on your instruments. Also, in this competitive job market, an Instrument Rating is a necessity! If you are seeking a Career in Aviation, or depending on flying to earn a living, a Commercial Rating is a must. 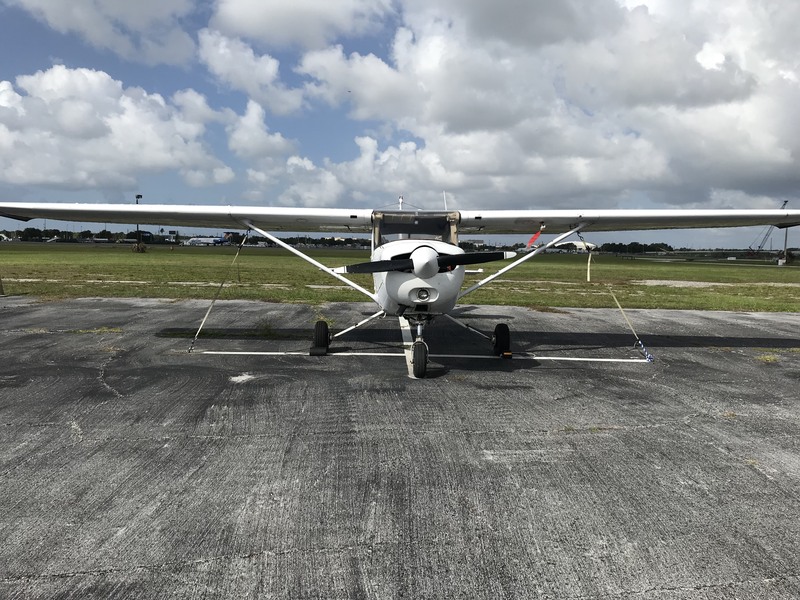 During your Commercial Training, you will spend 65 hours of time building flying around some of the most beautiful area's Florida has to offer. You will also learn how to pilot a complex aircraft, which will highten your abilities as a pilot. 5 Jeppesen Text Book, PTS & P.O.H. The Certified Flight Instructor Courses allow you to share your knowledge that you have learned up to this point, with students that are just beginning their dream of aviation. You will learn how to teach the fundementals of flight, weather, and aviation in general. Experience views like you have never seen before. We offer one-hour tours in our Socata Aircraft of some of the most gorgeous beaches in the USA. If it’s a special night and you want to see a perfect Florida sunset, or deciding if you want to learn to fly, come and check-out Clearwater Aviation Today! All of the above rental rates are 'WET' Rates, unless otherwise noted. All new customers are subject to a minimum one (1) Hour Checkout with one of our qualified instructors. The aviation industry is an extremely competitive market. Employers desire both experienced and well trained pilots to effectively and safely do their job. At Clearwater Aviation, we offer competitive time building rates in any of our aircraft in our fleet. From the turbine King Air 200 to the Cessna 310 or Piper Seminole, we want you to be the most experienced and safe pilot you can be. Let Clearwater Aviation assist you in your time building endeavors. Students attending Clearwater Aviation can work toward an aviation degree. Credit for flight training can be applied towards an Associate in Science and/or Bachelor Degree in many different degree fields. Degree programs are available online with the listed schools. 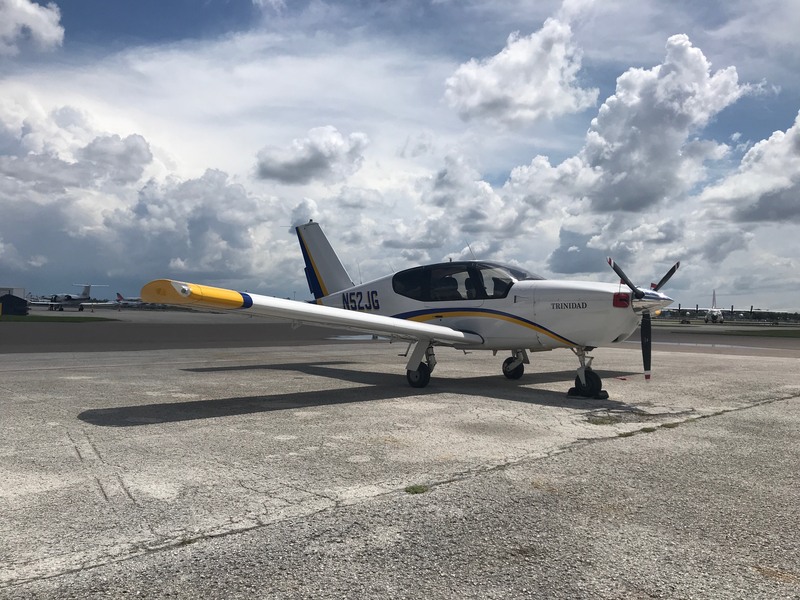 Experience the thrill of flying firsthand and explore the fundamentals of flight in our new Socata Aircraft while flying over the beaches of Tampa Bay. YOU will be at the controls. YOU will be flying the airplane. Call today to schedule your adventure. Gift Certificates are also available for a loved one's Birthday or that special occasion.